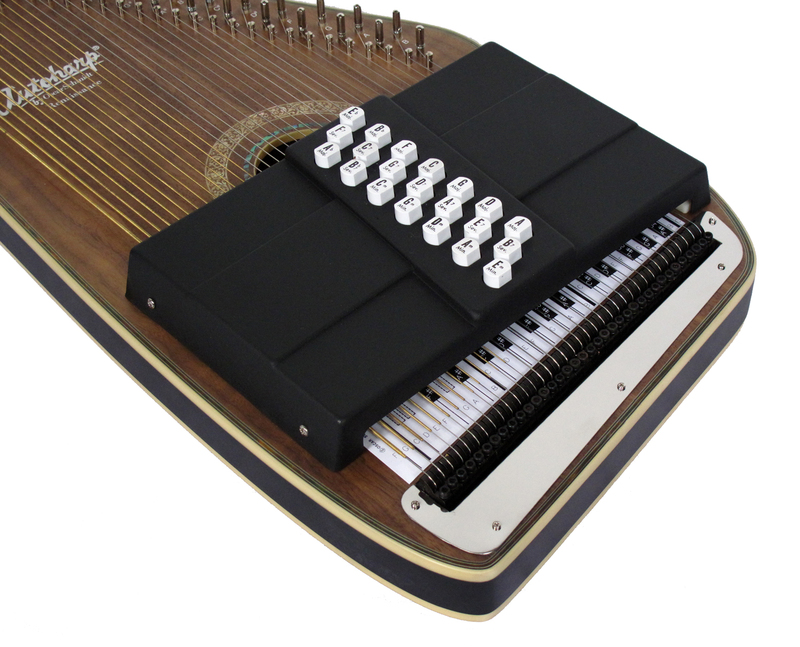 This 21- chord OS11021F autoharp plays in eleven different keys. The patented chord bar configuration makes it easy to learn and to continue to play for years to come. This design is a dedication to a time of grace, wonder and learning. 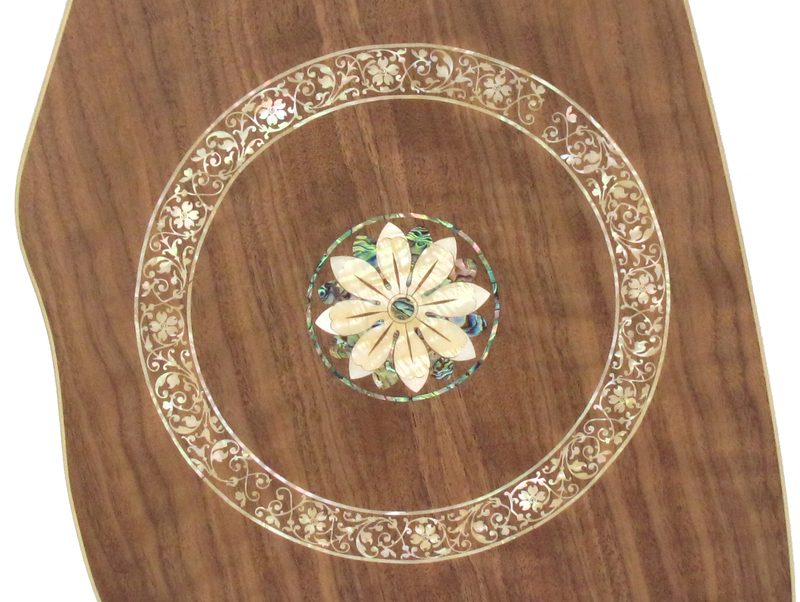 Beautiful sound hole adornment matching the rear design. The Renaissance were a time of discovery, imagination and learning. 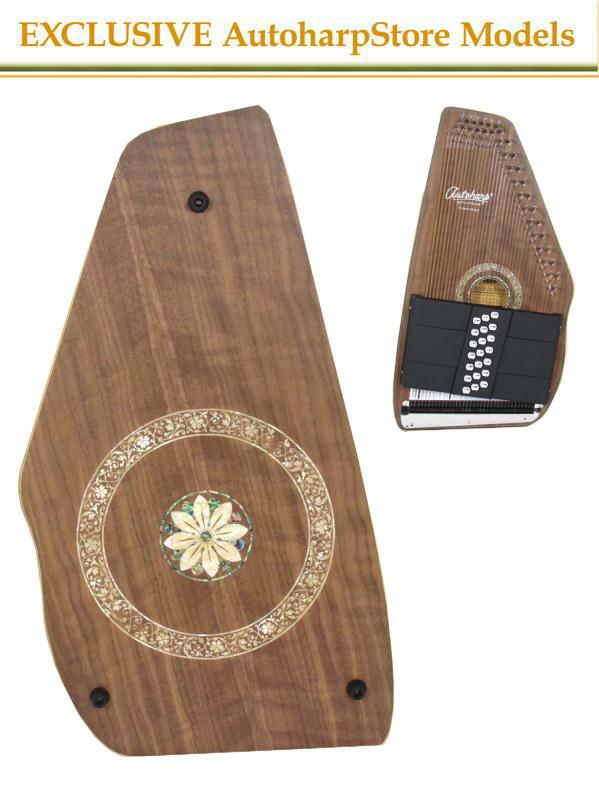 Known as one of the brightest moments for art in the history of the human race; the flower inlay on the front and back of this AutoHarp is directly inspired by the styles of the times. 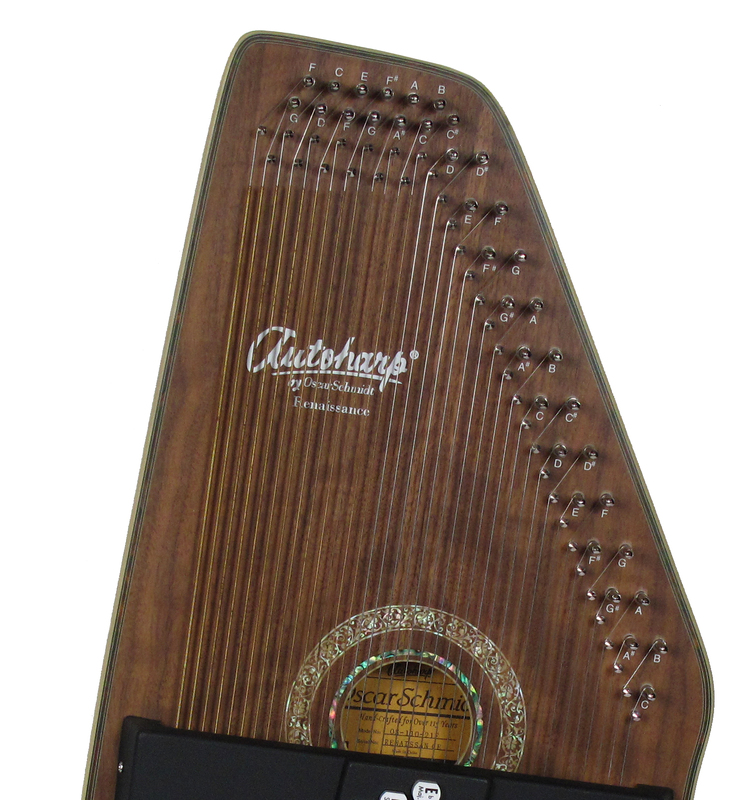 Walnut is known to be a premier wood when used for resonation; giving this AutoHarpStore.com exclusive autoharp a deep and meaningful sound that will move your audience. The elegant style of this design is just the right mix of culture and nature that will turn heads and win admirers. 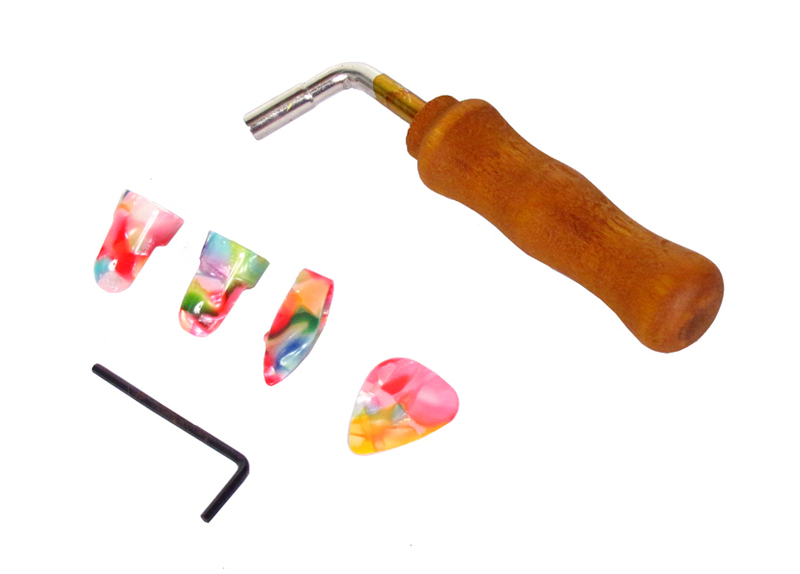 Oscar Schmidt is already held to the highest regards in the musical industry; now you can own a piece that will remain forever distinct from its mass produced cousins.